Silver Sands Cottages and First Canal 1207 Estero Blvd. Today's Silver Sands Villas is the only cottage court colony still remaining with original cottages on the first canal site,built by developer Tom Phillips. The first four original thatched roof cottages were built by Phillips in 1921 and placed directly on the ground level as overnight accommodations for island visitors. Later, each was raised off the ground from high tides, and small decks were attached as additional cottages were added, as seen here. 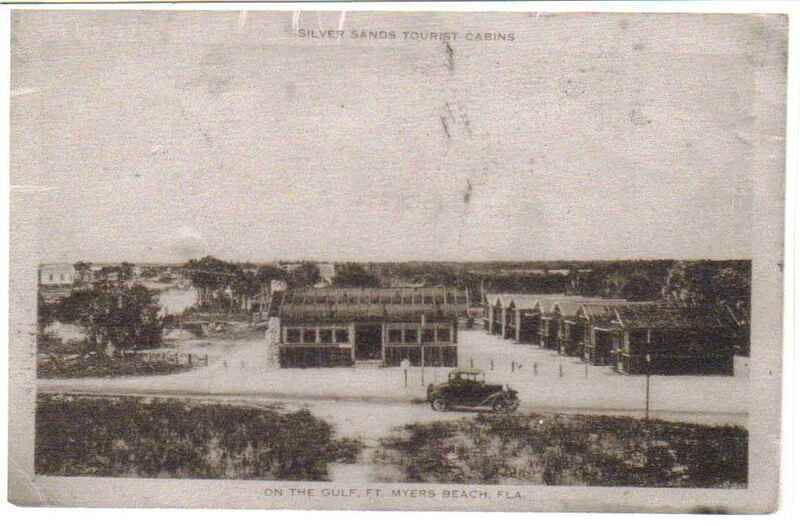 The cottages were advertised and listed as the Silver Sands rental tourist cabins in 1938. As the property changed owners, and more land was purchased, similar cottages were built in the 1940's and 1950's, with some two bedrooms with pecky cypress interiors. By 1960 the main house was built, which today serves as the main office, with additional units. During the 1970's, cottages were moved and separated for ample spaces along Primo Drive for parking, and in 1980 the heated pool was added to today's tropical garden setting. 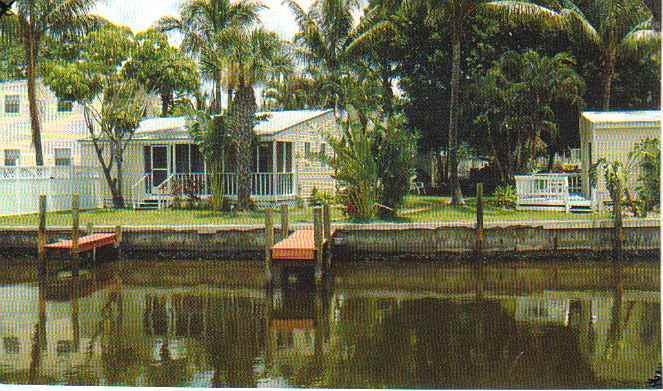 The fourteen cottage/8 unit villas, complete with two docks for boating and fishing is just steps away from their popular Coney Island Hot Dog and refreshment stand along the well beaten path of Estero Blvd.